Humanity is at a crossroads. Present social science theory and public policy are no longer adequate to meet the multi-dimensional challenges posed by rising social aspirations, unemployment and inequality, wasteful patterns of production and consumption, globalization of markets, technological advances, demographic changes, and ecological constraints. Incremental changes in public policy based on the present conceptual framework will only aggravate problems that are already acute. At the same time, the resources and capabilities of global society have never been greater than they are today. Scientific knowledge, technological developments, infrastructure and productive capabilities, educated and skilled human resources, entrepreneurial skills, commercial organization and a rapidly expanding global social network offer unprecedented opportunities for rapid social progress. Our problems arise from a mismatch between resources and opportunities: social science theory that is divorced from real world functioning, financial markets that siphon off funds from investment in the real economy, capital and technology-intensive manufacturing strategies that eliminate labor resulting in higher levels of unemployment and falling consumer purchasing power, educational systems that fail to impart the knowledge and skills required by the labor market, energy production technologies that threaten the ecosystem, mispricing of natural resources leading to overexploitation and waste, national level institutions incapable and unwilling of coping with global level problems. A solution can be found to every one of these problems, if only we are willing to think outside conventional boundaries. There is no dearth of opportunity. The limits we confront are limits to our thought. What is needed is to approach the challenges and the opportunities comprehensively and evolve an integrated package of solutions. The concept of efficient market theory to maximize return to investors has to be replaced by a theoretical framework that maximizes the efficiency of society as a whole by the full utilization of all available social resources to improve human welfare and well-being. This Forum seeks to formulate a comprehensive package of solutions to mobilize the enormous untapped potentials of human and social capital based on far-sighted, ecologically sustainable economic policies; advanced delivery systems for higher education and vocational training; innovations in the application of science and technology; and new types of social networks and industrial clusters; together with strategies to release and direct social aspirations and energies into new fields of creativity. Human-Centered Social Framework/Human Capital: This theme combines the focus on new economic theory and human capital with the role of entrepreneurship and innovation, placing them in a wider theoretical context. Human Capital is a central unifying theme of the Academy’s work and also a central strategy for breaking out of the narrow conceptions and stifling economic policies that prevail now. The theme also focuses on the catalytic role of the individual in social change, exemplified in economy by the role of entrepreneurs. It also encompasses the issue of human rights and economic rights, including the right to employment. The Network Society: This theme focuses on Social Capital and is a complement to the one on Human Capital. Organization is a determinant of social productivity and human welfare. The theme here is the creative role of organization in social development, the enormous productive potential generated by advances in social organization and the opportunities to utilize innovative organizational models and delivery systems to accelerate social progress in business, education, scientific research and governance. Traditional economic theory and contemporary preoccupation with fiscal and monetary policy ignore the tremendous potential for organizational innovation as a stimulus to social change. A comprehensive strategy for addressing social problems needs to give sufficient prominence to this aspect. Economic theory and real economy: The Newtonian view of economics, in particular, and social science in general ignores important theoretical advances in the physical sciences and critical aspects of economic reality. This theme could actually encompass a wide range of issues related to economic theory in an intellectually challenging manner which would include contributions from non-economists. Re-valuing Nature: Current theories based on the efficiency of markets overlook the gross inefficiency of economic systems that seek to maximize return to investors by wastefully consuming natural resources or grossly undervaluing and underutilizing human capital. Economic thought and practice are reoriented to take into account the real value of natural and human resources to present and future generations and formulate effective public policies designed to optimize the efficiency of the overall social system. This theme should re-examine the concept of economic value and its role in promoting sustainable human welfare and well-being. Energy plays the central role in society’s relationship with the environment: this theme can also highlight the potential for new and alternative energy sources. The Global Workplace or Global Employment Challenge: Like climate change, the challenge has become global and requires a wider understanding of the multiple factors affecting job creation and retention, including trade, demography, aging, migration, technological development, tax policies, Internet, global sourcing, production strategies, outsourcing, resource depletion, etc. The notion of regional and global economies raised here has direct relevance to the Euro zone and EU. Recognizing Talents and Genius -- education for the 21st Century: A comprehensive social strategy must give a central place to the role of education and training in preparing youth for productive engagement in a rapidly changing and increasingly complex and sophisticated world. The Internet is set to become the main delivery system for expansion of the global educational system to meet the rapidly expanding needs of developing countries. It also has an essential role to play in vocational training to close the gap between the need and availability of skilled individuals in the workforce. One of the challenges will be to prepare youth for entrepreneurship and self-employment. Sharing Knowledge, Innovation & Creativity for Human Welfare: This theme covers the broad issue of how to make available to industrial applications the existing large amount of scientific knowledge and technical innovations. Particular emphasis will be given to the development of a sustainable human welfare, including the field of health care, which is one of the world’s fastest growing industries, accounting for more than ten percent of the economy in most developed nations. The general awareness is increasing on this topic, but the management of S&T needs to develop instruments and a consensus to promote data sharing and economic exploitation in developing countries. Freedom and equality: This theme, that should address the lack of balance between developed and developing countries, is very much in keeping with the programmes of the International Higher Education and Research Centers operating in Trieste, often in close collaboration with UNESCO, such as the International Centre for Theoretical Physics, which hosted the Forum. What should be the role of human capital in a comprehensive approach to human welfare and well-being? What should be the role of human capital in assuring sustainable development? How to describe and quantify the untapped human capital? How to increase human capital the role of individual and collective activity, education, health: locally and globally? How should global and local political orders be altered in order to adequately harness and develop the potentials of human capital? How should global and local legal systems be modified in order to more fully tap the potentials of human capital? What should be the broad outlines of a human capital-based development strategy and what essential conditions need to be met to implement such a strategy? The classical, traditional view of economics, in particular, and social science in general ignores critical aspects of contemporary economic reality. This theme explores a wide range of issues related to the boundaries of economy and its interdependence with other aspects of society, the concept of economic value, the role of money and financial markets, and the overall role of economy in human affairs. Current theories based on the efficiency of markets overlook the gross inefficiency of economic systems that seek to maximize return to investors by wastefully consuming natural resources or grossly undervaluing and underutilizing human capital. Economic thought and practice need to be reoriented to take into account the real value of natural and human resources to present and future generations and formulate effective public policies designed to optimize the efficiency of the overall social system. This theme re-examines the concept of economic value and its role in promoting sustainable human welfare and well-being and the potential for new and alternative energy sources. In what ways does society possess the characteristics of a network in its organization and functioning? How can an understanding of networks be applied to improve the functioning and accelerate the economic development of society? How can the principles of network science be applied to stimulate the development of commerce and industry nationally and globally? How can the network characteristics of society be applied to enhance the development and application of science and technology for social progress? How is the evolution of society as a network altering the relationship between the individual and the collective and the role of the individual in the evolution of the collective? A comprehensive social strategy must give a central place to the role of education and training in preparing youth for productive engagement in a rapidly changing and increasingly complex and sophisticated world. The Internet is set to become the main delivery system for expansion of the global educational system to meet the rapidly expanding needs of developing countries. It also has an essential role to play in vocational training to close the gap between the need and availability of skilled individuals in the workforce. One of the challenges will be to prepare youth for entrepreneurship and self-employment. This theme also addresses the lack of balance between developed and developing countries. This theme addresses the broad issue of how to make available to industrial applications the existing large amount of scientific knowledge and technical innovations. Particular emphasis will be given to the development of a sustainable human welfare, including the field of health care, which is one of the world’s fastest growing industries, accounting for more than ten percent of the economy in most developed nations. The general awareness is increasing on thistopic, but the management of S&T needs to develop instruments and a consensus to promote data sharing and economic exploitation in developing countries. Panel 2. How can the available knowledge be more effectively disseminated and utilized to effectively address current social problems? Humanity faces multiple challenges relating to international financial instability, rising levels of unemployment, persistent poverty, widening inequality, ecological imbalances, human rights, human welfare, nuclear proliferation, social tensions, unrest and terrorism. Considerable effort has been devoted to diagnosis and analysis of each of these challenges. The root causes of these challenges are complex, overlapping, interdependent. All of these challenges transcend narrow disciplinary boundaries, thus defying solution by partial, sectoral approaches. These challenges are global in nature and cannot be fully addressed without coordinated actions by the international community. Approaches to resolving the challenges are subject to conflicting claims, priorities and interests. Lack of significant progress on addressing them in recent years has raised doubts about the collective capacity of the human community to effectively address them. There is presently no consensus as to whether real, effective solutions are possible and what those solutions should be. Over the past decade or more, the Academy and many organizations with specialized knowledge and expertise have examined these challenges separately and individually to diagnose causes and propose remedies. So far no comprehensive approach has been put forth for addressing the totality of the challenges and their complex interrelationships. The Academy now proposes to initiate a collaborative effort among its Fellows and likeminded organizations to identify the core elements of an integrated perspective, comprehensive strategy and detailed policy framework capable of addressing the multiple challenges through a more fundamental paradigm change. 1. Bakos, Dusan: Institute of Polymer Materials, Faculty of Chemical and Food Technology, Slovak Technical University, Bratislava, Slovakia. 2. Berar-Awad, Azita: Director, Employment Policy Department, International Labor Office (ILO). 3. Berg, Robert: Former Senior Advisor UNDP, UNESCO, ECA and UN Secretariat; Treasurer and Trustee, World Academy of Art and Science. 4. Bochniarz, Zbigniew: Secretary General, World Academy of Art and Science; Evans School of Public Affairs, University of Washington, U.S.A.
5. Bogyay, Katalin: President of the General Conference of UNESCO; Ambassador of Hungary to UNESCO; Fellow, World Academy of Art and Science. 6. Burton, Ian: Member of the Board of Trustees, World Academy of Art and Science; Emeritus Professor, University of Toronto, Canada. 7. Chiellini, Emo: Laboratory of Bioactive Polymeric Materials for Biomedical and Environmental Applications (BIOLab), Department of Chemistry and Industrial Chemistry, University of Pisa, Italy. 8. Chikvaidze, David: Director, UNOG Library; Chairman, Cultural Activities Committee of UNOG. 9. Constantinescu, Emil: Former President of Romania (1996-2000); Member of the Board of Trustees, World Academy of Art and Science; President, Romanian Academic Forum. 10. Djurovic, Momir: President, Montenegrin Academy of Sciences and Arts (MASA); Member of the Board of Trustees, World Academy of Art and Science. 11. Dobrowolski, Jan: AGH University of Science and Technology, Poland; Fellow, World Academy of Art and Science. 12. Duić, Neven: Head of Chair of Power Engineering and Energy Management at the Faculty of Mechanical Engineering and Naval Architecture (FSB), University of Zagreb, Croatia; Head of the Steering Committee for Mobility of Researchers; Fellow, World Academy of Art and Science. 13. Duraiappah, Anantha: Executive Director, International Human Dimensions Programme, United Nations University, Germany. 14. Ećimović, Timi: Chairman, SEM Institute for Climate Change; Chairman of Environmental Sciences, School of Environmental Sciences (Ansted University, British Virgin Islands and Penang, Malaysia). 15. Engelbrecht, Jüri: Vice-President, Estonian Academy of Sciences; Member of the Board of Trustees, World Academy of Art and Science. 16. Fassina, Giorgio: CEO and Chief Scientific Officer, Xeptagen; Adjunct Professor of Molecular Biology, University of Bologna, Italy. 17. Giacca, Mauro: Director of the Trieste Component, International Centre for Genetic Engineering and Biotechnology (ICGEB), Trieste, Italy; Full Professor, University of Trieste. 18. Giarini, Orio: Director, The Risk Institute, Italy; Member of the Board of Trustees, World Academy of Art and Science. 19. Gutenschwager, Gerald: Professor Emeritus, School of Architecture, Washington University in St. Louis; Scientific Fellow, Department of Engineering, Regional Planning and Development, University of Thessaly, Volos, Greece. 20. Gutenschwager, Mary: Professor of Social Anthropology and Sociology, St. Louis University. 21. Güvenen, Orhan: Professor of Strategic Decision Systems, Econometrics and International Economics, Bilkent University, Turkey; Fellow, World Academy of Art and Science. 22. Hassan, Mohamed: Former Executive Director, The Academy of Sciences for the Developing World (TWAS); President of the African Academy of Sciences; Fellow, World Academy of Art and Science. 23. Hoffman, Robert: President, What If? Technologies Inc.; Associate Member, Club of Rome. 24. Jacobs, Garry: Chair of the Board of Trustees, World Academy of Art and Science; VicePresident, The Mother’s Service Society, Pondicherry, India. 25. Johnson, Ian: Secretary General, Club of Rome; Former Vice President, The World Bank; Fellow, World Academy of Art and Science. 26. Johnston, Peter: Founder Vice-President of the Brussels-EU Chapter, Club of Rome; Senior Adviser to European Policy Center on Information and Knowledge Society; Fellow, World Academy of Art and Science. 27. Krištof, Marko: Minister’s Assistant, Ministry of Labour and Retirement System; Economic Advisor, Association for promotion of the right to access to public information; Member, Zagreb City Council; Co-founder, Editor and Webmaster, Vrijemeje. 28. Lažnjak, Jasminka : Associated Professor, Faculty of Humanities and Social Sciences, University of Zagreb; Junior Fellow, World Academy of Art and Science. 29. Lipsett, Morley: Member of the Board of Trustees, World Academy of Art and Science; University Research Associate, School of Communications, Simon Fraser University. 30. Matić, Božidar: President of the Academy of Sciences and Arts of Bosnia and Herzegovina (ANUBiH); Fellow, World Academy of Art and Science. 31. Maxton, Graeme: Fellow of the International Centre of the Club of Rome; Former Regional Director, Economist Intelligence Unit, Hong Kong. 32. McGrath, Peter: Programme Officer, The Academy of Sciences for the Developing World (TWAS). 33. Miertus, Stanislav: Director General, International Centre for Applied Research and Sustainable Technology (ICARST); Fellow, World Academy of Art and Science. 34. Murray, Sheila: Director, Canadian Association of the Club of Rome. 35. Nešković, Nebojša: Member of the Board of Trustees, World Academy of Art and Science; Principal Research Fellow, Vinča Institute of Nuclear Sciences, Belgrade, Serbia. 36. Pangher, Nicola: Director, Research and Business Development of TBS Group; Vice President, Association of Industrialists of Trieste. 37. Panza, Giuliano: Professor of Seismology, University of Trieste; Institute of Geophysics, China Earthquake Administration, Beijing, China. 38. Poloni, Carlo: President of ESTECO; Professor, University of Trieste. 39. Radović-Marković, Mirjana: Head of the Scientific Centre for Economic Researches, Institute of Economic Sciences, Belgrade, Serbia; Fellow, World Academy of Art and Science. 40. Ramírez, Martín: Head, UCM Research Group on Sociopsychobiology of Aggression, Psychobiology Department & Institute for Biofunctional Studies, Universidad Complutense Madrid; Fellow, World Academy of Art and Science. 41. Rakar, Marko: President, Croatian NGO Vjetrenjača; Member, Board of European Association of Political Consultants (EAPC); Member, Board of International Association of Political Consultants (IPAC). 42. Ripandelli, Decio: Director for Administration and External Relations of the International Centre for Genetic Engineering & Biotechnology (ICGEB). 43. Romeo, Domenico: Former Rector of the University of Trieste; Fellow, World Academy of Art and Science. 44. Scandolo, Sandro: Coordinator, Diploma Programme in Condensed Matter Physics, International Centre for Theoretical Physics (ICTP); Research Scientist, ICTP. 45. Sefić, Mustafa: Fellow and President of Ophthalmological Society, Bosnia/Herzegovina; Fellow, World Academy of Art and Science. 46. Segerstrale, Ullica: Professor of Sociology and Director, Camras Scholars Program, Illinois Institute of Technology (IIT); Fellow, World Academy of Art and Science. 47. Sfiligoj, Antonio: Senior Advisor, Corporate Finance, Advicorp; Technology Park advisor. 48. 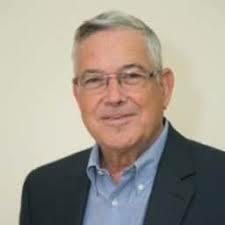 Siagri, Roberto: Chairman, Chief Executive Officer and President of Eurotech SpA; Outside Director of Advanet Inc.; Former Independent Director of Nice SpA. 49. Šlaus, Ivo: President, World Academy of Art and Science; Dean, Dag Hammarskjold University College for International Relations and Diplomacy, Croatia; Member of Club of Rome, ELN and Pugwash Council. 50. Stavljenić-Rukavina, Ana: President, Croatian Association of the Club of Rome; Fellow, World Academy of Art and Science. 51. Suggi Liverani, Furio: Director of Research, Illycaffè; Member of illycaffè strategic board and past President of Biosensor Technologies. 52. Tongiorgi, Enrico: Professor of Comparative Anatomy and Neurocitology, BRAIN Centre for Neuroscience; Fellow, World Academy of Art and Science. 53. Turk, Vito: Department of Biochemistry, Molecular and Structural Biology, Jožef Stefan Institute; Fellow, World Academy of Art and Science. 54. Vacchi, Andrea: Research Director, National Institute for Nuclear Research (INFN). 55. Verbanac, Donatella: Assistant Professor, School of Medicine of the University of Zagreb; Center for Translational and Clinical Research. 56. Vlavianos Arvanitis, Agni: President and Founder, Biopolitics International Organization; Fellow, World Academy of Art and Science. 57. Vukadinovic, Radovan: Faculty of Political Sciences, University of Zagreb; Fellow, World Academy of Art and Science. 58. Weiler, Raoul: Founder-President of the EU-Chapter of the Club of Rome (CoR-EU); Member of the Board of Trustees, World Academy of Art and Science. 59. Zidanšek, Aleksander: Professor of Physics, Faculty of Natural Sciences and Mathematics at the University of Maribor; Secretary General of Jožef Stefan International Postgraduate School; Fellow, World Academy of Art and Science. 60. Zimmerli, Walther: President of Brandenburg University of Technology (BTU), Cottbus; Member of the EC, German Academic Exchange Service (DAAD); Fellow, World Academy of Art and Science. 61. Zucconi, Alberto: President of the Person-Centred Approach Institute (IACP); Member of the Board of Trustees, World Academy of Art and Science. The Trieste Forum in March 2013 marked a significant milestone in the effort of the World Academy to evolve a comprehensive, integrated, trans-disciplinary perspective for addressing global challenges. An initial presentation on the physics of Dark Matter aptly illustrated the need for new thinking in the social sciences. If the most mathematically rigorous of physical sciences is compelled to postulate the existence of an unknown, invisible substance and energy representing 96% of the total matter and energy in the universe, how much more true is it that the fundamental factors responsible for the development of society are subtle, imperceptible by the senses and beyond comprehension by the present concepts of social science. In comparison to Dark Energy and Matter, the magnitude and complexity of Human Capital might well be likened to an infinite number of parallel universes (multiverse). There was a time not long ago when human labor was valued primarily as a factor of production measurable in horsepower equivalents and substitutable by machinery. Today our conception of the human resource is far more sophisticated. Like visible matter, the physical dimension of human capital referred to as labor is only the tip of the iceberg. Our modern economic system is redicated on the principle that human beings can express their full potential only in an atmosphere of freedom where their energies can be fully released and channeled into productive, entrepreneurial and creative activities. Past WAAS President Harlan Cleveland coined the phrase ‘revolution of rising expectations’ to capture the central role played by the release of social energies in the post-war period. Unleashing the energy of human aspirations has been a principal driving force for the remarkable achievements of the past two centuries through progressively widening circles of liberalism, human rights and democratic governance. As the discovery of fire and invention of agriculture transformed human life in the distant past, the immense intellectual creativity of the 20th Century has dramatically demonstrated the transformative power of ideas to change the world. The human mind is our most powerful and productive resource. An alliance of scientific research with technological innovation spurred the second and third industrial revolutions that have radically altered the way human beings move, communicate, work and live. Indeed it is now evident that mind is the source of all other resources, for materials become productive resources only when human beings recognize their value and discover the means of putting them to use, as we have transformed the organic remains of earlier life forms into energy, plastics, textiles and life-saving pharmaceuticals. Human Capital is an infinitely complex microcosm capable of unlimited development. Social Capital constitutes a macrocosm of equally great complexity and potential. Side by side with the visible evolution of technology we have developed to liberate ourselves from the drudgery and limitations of physical labor. We have also been fashioning ever more powerful and effective social organizations to enhance our capacity for effective relationship. From the invention of language in the distant past to the founding of cities and the evolution of markets, money, modern enterprises, NGOs and international institutions, human history represents a continuous social experiment to harness the remarkable powers of social organization for human welfare. Today, the primary source of our wealth is no longer the field or the factory. It is the modern knowledge-based service economy, which is founded on human relationships and powered by sophisticated social organizations. The recent development of the Internet as the first truly global social organization has brought us full circle back to the most fundamental principle of our development – our relationships with one another. For the first time in history we have the capacity to fashion a global social network in which each individual is empowered to draw upon the resources of the entire world and also directly contribute to the enhancement of our collective social capacities. The fabric of society is an ever-expanding, continuously evolving, increasingly complex and effective social network. The quest to unravel the mystery governing the relationship between the physical microcosm and macrocosm has preoccupied physics for a century since the discovery of Relativity Theory and Quantum Mechanics. So too, the quest to discover the most effective relationship between the human microcosm and macrocosm, between Human Capital and Social Capital, promises to unleash creative powers for human welfare and well-being with momentous consequences for the future of humanity. The individual human being is the unknown link between these two universes. The individual as member of society is a product and expression of the endowments of the collective. At the same time the individual as pioneer, leader, inventor and original thinker is the catalyst for all social progress. The individual is the source of the ideas, the energy and the values that drive human progress. As Physics continues its search for an ultimate theory of the material universe, the most important quest of the social sciences must be for a greater understanding and practical knowledge of how to most effectively fashion social institutions to unleash and channel the creative powers of its individual members for the welfare and well-being of all. 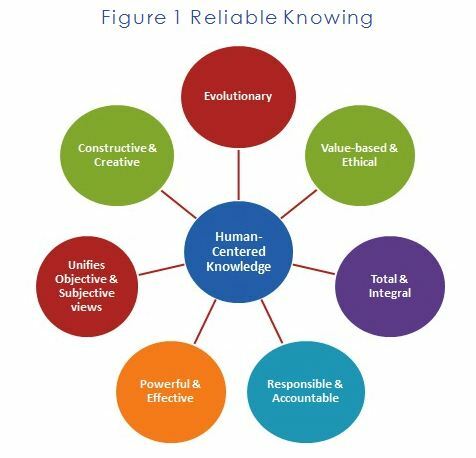 The knowledge most needed today is the framework for a comprehensive science of social evolution, a science founded on an understanding of human nature as we observe it, but also on the realization that this potential is not a fixed constant. The laws governing society are not immutable laws of nature but principles based on the values and choices we make, which are capable of unlimited development. Humanity’s destiny is a matter of choice, not material determinism. We know also that extending basic human rights to all human beings within a framework of democracy and rule of law are essential requirements. This includes social and economic as well as political rights. In modern society, access to employment is the economic equivalent of the right to vote in democracy. In order to develop and release the full potential of future generations, the right to employment must be guaranteed. This is an essential condition for social justice and the preservation of social stability. As Jasjit Singh reminds us, rising expectations unfulfilled can quickly degenerate into rising levels of frustration, social unrest and violence. Human security, human welfare and well-being go hand in hand. Democracy must also be extended from the national to the international sphere. Undemocratic institutions of global governance preserve rule by the most powerful, which is incompatible with global rule of law. Law is the codification of the public conscience. The prevailing concept of national sovereignty, which is claimed by all states regardless of their mode of domestic governance, is itself a denial of the sovereign rights of the global human collective. Mind is the instrument through which we seek knowledge and the characteristics of human mentality impose practical limits on our rationality and effective knowledge. Foremost among the dominant tendencies of the human mind is the propensity to divide reality into smaller and smaller components, while losing sight of the whole which is more than the sum of its parts. Finance needs to be reintegrated with economy. Markets need to subserve human welfare. The narrow boundaries of economy need to be extended to reflect continuously evolving relations with the non-monetarized sector, its fundamental dependence on law and government, the ecological continent on which it is based, and the social context in which it functions. The interdependence of money power, political power and social power must be reconciled within a single formulation. Another prominent characteristic of our mentality is its tendency to formulate abstract words, concepts and symbols to represent reality and mistake the abstract symbol for the reality it only imperfectly represents. Like the advocates of neoliberalism, we often mistake theoretical constructs for practical truths or misapply concepts of the physical sciences to the human sciences in which conscious awareness and volition replace the automatic mechanism of physical nature. Survival of the fittest may well be the law of the jungle but cooperation for mutual benefit and dedication to higher principles and goals are the foundations of civilization and culture and that which most distinguishes human beings from our animal predecessors. Future social science must encompass all the dimensions of human life – political, economic, organizational, technological, social, psychological, cultural and ecological – as aspects of a single integral reality. All facets of the complex multidimensional development of human society are founded on more fundamental processes of human development. The quest of social science is not for impersonal knowledge but effective power and the only legitimate power science can seek is the power to realize the welfare and well-being of all human beings. For that it must become a purposeful and value-based body of knowledge reintegrating science with philosophy, ethics and spiritual values. Let us recall that Adam Smith was a moral philosopher in search of an effective formula to promote human welfare, not an impartial natural scientist in search of impersonal universal truth. Economic value is inseparable from human values. Growing awareness of humanity’s relationship to the environment has been a crucial turning point in our awakening to greater self-consciousness. The dream of unlimited material production and consumption confronts an impenetrable wall resulting from the depletion of precious, non-renewable material resources and the destructive impact of unbridled, wasteful human activity on the biosphere. Economic value must also reflect ecological value. So also, human security cannot be assured so long as both humanity and the ecosphere are threatened by the calamitous prospect of accidental or intentional nuclear detonations. The very existence of nuclear weapons on earth represents an existential threat to civilization. But the really confining limits are not material or technological, but conceptual. For human ingenuity has amply demonstrated the capacity to produce more from less. The scope for further increasing the productivity of available resources is enormous. The real barriers are the limits imposed by prevailing ideas and values. We are unwitting and unknowing prisoners of our own conceptions. The greatest need of humanity today is for creative leadership in thought that challenges the conventional wisdom and dogma which often masquerade as scientific knowledge. Society as it functions today is the product of past experiences, developed power structures and vested interests which present an inertial resistance to our future evolution. The want of leadership or political will so often lamented is founded on outmoded concepts, beliefs and values waiting to be challenged, exposed and reformulated. The political will and power to abolish slavery and end colonialism had first to attack the intellectual foundations on which these archaic institutions were based. Courageous leadership in thought must precede effective leadership in action. all physical systems: molecules, atoms, even nuclei, would not exist without uncertainty. The uncertainty in social systems is even greater for the laws governing society and its development constantly evolve, whereas the laws of the physical universe have remained unchanged for billions of years. Black swans are an ineluctable characteristic of social life. In a sense, all human action is an endeavor to manage the risks and conquer the uncertainty by greater knowledge and more effective social organization. But it is a never ending quest. For the very uncertainty in human systems which is the source of the ignorance and insecurity we seek to eliminate is also the source of new ideas, inspiring values, marvelous innovations, more abundant wealth and richer creative potential that are the product of evolving human consciousness. Uncertainty is only another term for the Unknown or the Unknowable, which is our future destiny. Our evolutionary conception needs also to embrace this limitless, indefinable source of human potential. Viewed from this emerging perspective, the multiple individual lines of the World Academy’s programmatic activity imaged coalesce to form the first vague outlines of an integrated intellectual framework for understanding and addressing the opportunities and challenges facing humanity in the new century. Human Capital, a central theme of the Academy’s work, was the first session at the Trieste Forum. The session focused on the development of a human-centered economic theory that recognizes the key role of the Individual in social change. A Human Capital-intensive approach lays emphasis on original thinking, creativity and inventiveness, freedom and human rights, entrepreneurship, education, training and development of social networks and other social institutions (Social Capital) needed for the full development and expression of individual capacities. Human centered theory counters the mechanistic and reductionist approach to social science with one that recognizes the unlimited potential of the human being. The Academy’s work underlines the necessity of formulating a comprehensive trans-disciplinary approach to global issues. The initial presentation by Andrea Vacchi on dark matter served as an apt metaphor for the unexplored potentialities of human capacities waiting to be discovered and developed. Anantha Duraiappah’s presentation on the Inclusive Wealth Index focused on the central importance of human capital in the wealth of nations, the need to base new metrics on a more comprehensive conception of human welfare and sustainable well-being, the challenges involved in devising effective metrics to reflect development of the human dimension, and the need to evolve new novel ways to increase the accumulation of human capital — innovation, creativity, quality. Ana Stavljenic Rukavina focused on the challenges of an aging society and stressed the relationship between economic growth, ageing and the decline of fertility and the resulting social consequences. Alberto Zucconi stressed the need for a systematic understanding of economics in its relationship to bio-psycho-social aspects of society and for the development of the types of intelligence needed to acquire the new competencies needed. The Trieste Forum built on themes explored earlier in the Academy’s project on ‘The Emerging Individual’ at the international conference on “Humanities and the contemporary world” at Montenegro last June and articles published in Eruditio and Cadmus. The employment challenge has become a global challenge of greatest importance that calls for a better understanding of the multiple factors affecting job creation and retention, such as trade and investment policies and practice, including outsourcing; demography, including changes in age structure and migrations; technological development, including Internet and ICT; governmental policies, including tax incentives, education and training; and finally environmental endowment, including resource depletion. b. Education and training focusing on “school-to-work” policy. c. Integration of still fragmented labor market. d. Encouragement policies for entrepreneurship and self-employment. e. Equal treatment (gender, race, etc.) and enforced rights at work. Garry Jacobs appealed for abandoning conventional thinking that prevented us from full employment. He indicated that contrary to common beliefs, the global job growth was faster than explosive population growth since 1950 and the same long trend can be maintained in future. To resolve the employment challenge, we need to move away from nation-centric theories and models toward human-centered global perspective complemented by new economic performance indicators showing the contribution of employment to human wealth. He argued further that vast unmet social needs combined with underutilized human and social capital set a solid foundation for moving toward full employment. For that reason, there is an urgent need to develop a new Social Theory of Full Employment. Mirjana Radovic-Markovic focused her presentation on a global problem of aging workforce, particularly increasing share of those over 50 years old from Europe through North America to Asia, particularly Japan and China. Unfortunately, she discovered that those over 50 are often discriminated on that market, in governmental policies and by the existing stereotypes. It leads to human suffering and significant economic losses of unemployed experienced workforce. In order to avoid those negative consequences of age discrimination and establish equal opportunity rights for those over 50 she recommended that the existing economic theory of employment be revised and that her model of employment for aging people be followed, which will lead to full employment. The last speaker was Antonio Sfiligoj, who offered a practice-based collaborative entrepreneurial model of employment. Coming out of existing Austrian, Dutch, German and Luxemburg experiences with full or almost full employment, he argued that the key is a new investment model in coaching entrepreneurs in newly created, small innovative firms, which are the most important for reaching full employment. His main strategy is “democratizing innovation” by going out of universities and research centers, which are the main source of invention, and instead focusing on innovations that change the ways how the already existing technologies or processes work. He recommended utilizing crowdsourcing infrastructure for financing such innovative projects, in addition to financing from structural governmental funds, business angels and venture capital. The key issue is the speed from identifying the need, designing new product/service/process, making its prototype/pilot, testing, marketing and selling to be the new market leader. The discussion raised the role of institutional, including trade unions and policy factors, including easy and generous welfare benefits contributing to unemployment in developed economies. The current market structure with high concentration of financial institutions leads to overvaluation of financial assets (particularly speculative capital hedge funds, future options and others derivatives), which often are low taxed and an undervaluation of human capital, which is usually highly taxed. The technological factors affecting the labor market such as robotization, ITC and e-business were also mentioned. The Academy made significant progress at Trieste in advancing the discussion beyond the level of critiquing the deficiencies in current economic theories. It became clear that the current failures and apparent limitations of our economic system are the result of faulty, limiting dogma, which all too often passes for rational scientific theory. Therefore, the first requirement is a willingness to re-examine premises to determine whether they arise from inherited notions, power structures and prevailing values or from economic fundamentals. Liberating our thought from past conventions is the most important step toward founding a true science of economics. Orio Giarini began by challenging several such premises, especially the notion of market equilibrium, which he described as a tautology rather than a real market phenomenon. He stressed that economy is in a constant process of evolution and the equilibrium dynamics could at most be applied to a particular moment in time. Moreover, current economic doctrine evolved in the context of the Industrial Revolution when transactions involved discrete products sold at a specific point in space and time. Today, three-quarters of all transactions involve the delivery of services, most of which are consistent of vast delivery systems such as education and healthcare, where the cost incurred over the entire life cycle of the system often cannot be accurately known until long after the actual point of delivery. This raises fundamental questions relating to the notion of economic value. Robert Hoffman pointed out that there is no intrinsic relationship between price and value. Value cannot be measured monetarily. Price is what we make. The market is particularly poor at capturing the value of natural resources and the value to future generations. In the modern knowledge-based service economy, the notion of value must be extended to take into account utilization value over time. The boundaries of economics need to be extended in several directions to encompass new dimensions. First, the boundary between the monetarized and non-monetarized sectors is constantly shifting. We arbitrarily assign value to that alone which involves monetary exchange. Second, the boundary between politics and economics is purely arbitrary, for there would be no such thing as market were it not for the legal and regulatory framework within which exchange takes place. Therefore, to talk of ‘free markets’ is mere dogma, which Adam Smith would have been the first to repudiate. Third is the paradoxical boundary posed by uncertainty. Ostensibly, the role of economy is to manage risk and reduce uncertainty. Yet, the uncertain is also the source of all human creativity, new invention, and future potential. Orhan Güvenen emphasized the inherent uncertainty of technological evolution. Like the Internet, all future discovery and wealth creation will emerge from the uncharted unknown. Fourth, valid economic science must fully take into account the relationship between production, social welfare, ecology and ethics. Finally, there was an overriding consensus that unlike physical science, social science must be goal-oriented and value-based. It is worth noting that Adam Smith considered himself a moral philosopher with a global perspective dedicated to promoting social welfare for all people and all nations. Indeed, the term ‘economist’ did not even exist at the time. Financial systems are intended as a means to support the real economy and promote human welfare. Graeme Maxton argued that speculative investment is unnecessary and destructive of the real economy. “Progress is not about growth or wealth creation, but about well-being”. Walther Zimmerli called for a return to Aristotle’s idea that economy is a part of ethics. We’ve lost sight of the fact that economics is a set of tools to serve a purpose. The laws of society are a question of choice, of values. We have to counter the inherent human tendency to create marvelous instruments such as money and markets and then enslave ourselves to our creations. Our task is not to discover immutable natural laws of society but to learn how to fashion society to meet social objectives. The economic, ecological, social, political and security crises that humanity confronts today can be traced back to common factors and root causes and can only be successfully addressed by instituting fundamental changes in the values, policies and institutions that underpin the global economic system. Addressing the multi-dimensional global crisis requires that we embrace an integral perspective which recognizes that the ecological crisis is driven by an inefficient economic system that grossly undervalues and underutilizes human capital. The WAAS project on New Economic Theory strives to develop a comprehensive perspective that calls for integrating sound ecological principles within the science of economics. The session on ‘Revaluing Nature’ at the Trieste Forum re-examined the concept of economic value and its role in promoting sustainable human welfare and well-being and the potential for new and alternative energy sources. The presentations highlighted the need for a critical introspection of the way we collectively and individually value nature’s goods and services. The focus on monetary values must be broadened to reflect the full gamut of social, economic, ecological, cultural and spiritual values. The predominant use of economic rational decision making must be broadened to determine how variables such as culture, world beliefs, knowledge, information, social status, and the economic conditions etc. might affect the way individuals and communities value nature. Carlo Poloni highlighted the way economic values of achieving an environmental target are achieved through optimization exercises. Optimization techniques therefore can be used to inform the plurality of values and broaden the present hegemony of monetary use-values of nature. Appropriate value must also be assigned to what is now regarded as wastes generated by human activity. Dusan Bakos and Emo Chiellini reinforced the case for incorporating social and environmental values in social decision-making, illustrating how individuals make decisions to substitute plastics with biodegradable plastics. Decision making should be based on a systems perspective and cradle to cradle analysis spanning the whole production, recyclable and degradation process. They also highlighted potential synergies in the form of co-benefits that might arise from producing biodegradable plastics that affect the value of bio-based plastics. In a similar manner, Stanislav Miertus analyzed the potential for substitution between fossil fuel and biofuels, factoring the potential environmental damage through climate change which a fossil-fuel based approach would have in comparison with a biofuels strategy. The session concluded that there are a plurality of values underpinning human behavior and activities with regard to nature. These values range from use and non-use values cutting across the ecological, social and economic spheres and could be represented by both monetary and/or non-monetary units. Traditional informal value articulating institutions formed to oversee the access and use of nature’s goods and services have been ignored or superseded by the market. The ethics, morals and justice overseeing the access and use of nature’s goods and services by value articulating institutions are the key for sustainable human wellbeing. Social Capital and Human Capital play complementary roles in social development. As a follow-up to the Academy’s e-seminar in November 2012, Juri Engelbrecht introduced a special session during the Trieste Forum exploring the rising importance of networks in modern society as well as emerging theories and major discoveries regarding the Science of Networks. The session examined opportunities to utilize innovative organizational models and delivery systems in the industrial sector, collaborative entrepreneurship, understanding of climate systems, sustainable development in education, scientific research and governance along with some philosophical aspects of network behavior. The central problem in economics is efficient allocation of resources to meet the population needs. In a presentation on Networking Science and Industrial Clusters, Zbigniew Bochniarz examined recent applications of network science to promote entrepreneurship and industrial development as an alternative to the two traditional competing models of coordination – self-regulating markets and centralized planning – which have failed to produce optimal efficiency for society as a whole. Clusters are geographic concentrations of interconnected companies, specialized suppliers, service providers, firms in related industries, and associated institutions that cooperate and compete in particular fields. More than a traditional supply chain, these clusters include academic institutions providing training, research and consulting services, governmental agencies influencing cluster activities, and non-governmental organizations providing important services. Today, the ability of firms to innovate is restricted by barriers limiting knowledge utilization and innovations. Antonio Sfiligoj discussed Collaborative Entrepreneurship, a holistic approach involving new models for business networks where firms act like organic ecosystems rather than traditional supply chain partners. This new competitive strategy of continuous innovation fulfills the need for efficient provision of a constant stream of new products, services, and markets, especially important for countries such as Italy with a large number of SMEs and few larger corporations. In Europe, new legislation and policies are being adopted to foster the creation of collaborative entrepreneurial communities within which SMEs can share in the creation of wealth through innovation and growth. At the same time, traditional financing through venture capital is being surpassed by new forms of informal investors, i.e. crowdsourcing and business angels. Networks dominate our lives. Peter Johnston explored the role of Networks for Innovation, Growth and Sustainable Development. New scientific findings are now being applied to provide insights into the nature of evolution in economics, ecology, biology and medicine. Social and economic systems have most of the characteristics of scale-free, “small-world” networks: namely, a power-law (nx) relationship between nodes (people, businesses etc.) and the number of links between them and a power-law distribution of other key parameters (wealth, influence, and also fluctuations around dynamic equilibriums etc. ), which have profound implications for achieving social equity. Climate change is already beginning to disrupt regional climate systems and has increased the frequency of disruptive extremes, threatening societal stability and imposing huge costs on our economies. To reduce the rising world energy demand, rising concentrations of atmospheric CO2 concentrations, rising average global temperatures and worsening air pollution, the OECD report recommends environmental taxes and emissions trading; valuing and pricing natural assets and ecosystem services. Recent assessments by the International Futures system indicate that a combination of accelerated deployment of “network innovations” (broadband communications and smart-grids) together with a global market price for carbon-emissions could cut global emissions after 2025 and stabilize CO2 concentrations at about 500ppm by 2050. Self-organizing character of social networks is reflected in our technology networks. Replicating the evolution of social networks by computer simulations enables us to better assess how to deal with the greatest challenges facing us in the next decades. Walther Zimmerli examined the impact of networks on the concept of the Individual in Social Philosophy and individual identity in modern society. Evolution is a chain with a network of chains with many missing links. Networks are decentralized or uncentralized self-organizing systems similar to the brain in which every node is capable of taking over the functioning of other nodes. Networks are enabling us to externalise our storage capacity of knowledge, so individuals need to know less but can do more than ever before. ‘Thinking’ remains a uniquely human capacity. As participants in huge social networks, we act both as nodes in the network and users of these nodes. As the virtual world expands, traditional sources of individual identity based on membership in groups, regions and countries are being replaced by multiple identities and increasing opportunities for universalism. In his concluding remarks, Raoul Weiler pointed out that the Science of Networks has emerged in recent decades as part of a new set of knowledge tools with a very strong mathematical basis as excellently depicted in this Wikipedia diagram on Complexity. The new Sciences of Networks and Complexity have opened new horizons in the understanding of how natural as well as human and social ‘complex’ systems behave with application to economy, industry, innovation, management, and sustainability, as well as, for example, the worldwide money & banking system, political decision making processes, etc. This science provides tools to analyze and quantify relationships between actors in different domains. A new sociology is emerging, opening up new horizons for managing our society. Before making remarks upon the speakers’ contributions, I would like to present my appreciations for the way Bob Berg has prepared this panel as moderator. It is an excellent example for networking us before the physical face-to-face meeting here. In this context, I would like to emphasize also the brilliant contribution brought by Ivo Šlaus and Garry Jacobs, who joined their forces to show us the path to Recognizing unrecognized genius. I agree with all of their criteria in identifying the excellence of a personality in whatever field: the capacity to transcend the limits of conventional thinking, to unify disparate phenomena, to understand the whole which is greater than the sum of its components; personalities able to perceive deeper levels of causality than the current conventional thinking, and to see opportunities where the canonic thinking sees nothing but risks; women and men endowed with the capacity to see life in its profundity and totality. I am totally in agreement with the idea of a distinction, both moral and material, bestowed upon creative minds and personalities not yet recognized in their true dimension. If Ivo and Garry’s proposal looks mostly at the young, Jan Dobrowolski’s contribution to our debates turns its regard to the old. Biologists and psychologists alike have concluded that seniors may not react as quickly as their younger contemporaries, and that their reactions are the result of a more complex process of thinking, using comparatively more networks of their brain, and a more reflexive mind. The old and wise are not to be in competition with the young and bold; they have to complete each other. Life-long learning is a way of making a tool of progress out of longevity which much too often is perceived only as a burden for society, and as an obstacle to the advancement of the younger generation. Again, I have to agree most willingly to the main thesis of Professor Dobrowolski: life-long education is essential for a better quality of life, both for the individual and for the society. As he so aptly writes, it is necessary to provide inter-generation integration based on life-long learning. I would like to express my utmost appreciation for the interventions from Morley Lipsett and Aleksander Zidanšek, as they offer a rich matter for reflection about education today and in the near future. Both question, with reason, the current paradigm of the formative process, striving for a new model of learning – a process which must be understood in the widest of its significations, defining the current paradigm, answers and certainty in contrast with a new one, dominated by questions and wonder. Let’s remember Pascal, in Entretien, who praised Montaigne for disabusing those who cling to their opinions and who believe that they have found unshakeable truths in the sciences. Morley Lipsett and Mikel Vanry ask for a way to re-humanize education, while Vito Turk and Aleksander Zidanšek draw our attention to the new rhythms of acquisition and transfer of knowledge in our time, asking for an “early warning system”, so to say, meant to identify and put to good use, as soon as possible, individuals with creative capacities. Both interventions reach in fact a problem which bothers me a lot: how do we support the democratization of education at all levels without provoking at the same time its massification? The report on Assisting Developing Countries to develop their own scientific and industrial capabilities by Decio Ripandelli seems to be the exact antidote to massification. There is no magic wand to solve this range of problems, even if I think it is crucial for our time. I think, however, that we must start by changing our canons, by inventing new paradigms. I am painfully aware that this new paradigm may seem rather utopian, more adapted to the Houyhnhnm society so highly praised by Gulliver, or to the Rabelaisian Abbey of Thélème, than to our bleak and so insufficient answers to the global crisis. Education costs. Did anyone ever measure how much the lack of education may cost? I can say for sure that, for instance, the number of lives lost due to the early abandonment of school to juvenile delinquency, or just to boredom and frustration, cost the entire society a huge amount of money. How then can we speak of human achievement? And I strongly believe that, if we leave the current trend of massification to invade the whole world of our schools and universities, we shall lose forever all the benefit that the democratization of the educational process has offered humanity in the last two centuries. This session addressed the broad issue of how to make available to industrial applications the existing large amount of scientific knowledge and technical innovations. Particular emphasis was given to the development of a sustainable human welfare, including the field of health care, which is one of the world’s fastest growing industries, accounting for more than ten percent of the economy in most developed nations. The general awareness is increasing on this topic, but the management of S&T needs to develop instruments and a consensus to promote data sharing and economic exploitation in developing countries. The session also focused on the role of creativity and innovation as essential factors for economic development and how the available knowledge can be more effectively disseminated and utilized to effectively address current social problems. The world faces an unprecedented dilemma. Ever expanding opportunities are emerging side by side with ever intensifying problems. The proliferation of money, technology, education and global interdependence which have been the main drivers of global development are accompanied by rising levels of financial instability, pollution, unemployment, inequality, arms proliferation and social unrest. Humanity seems driven by mutually exclusive, contradictory goals leading to apparently insoluble problems. Piecemeal sectoral solutions are transparently inadequate. Persistent poverty co-exists side by side with unprecedented prosperity. Rising levels of inequality and unemployment are spreading discontent and social unrest at a time when social welfare nets are overstrained by an aging population. Economic growth is depleting the world’s natural resource base at an alarming rate while threatening long term catastrophic changes in climate. The competition for scarce resources is aggravating nationalist competition at a time when international cooperation is essential for coping with common global challenges. Globalization is breaking down the barriers insulating national economies, making states increasing vulnerable to destabilizing impacts from beyond national borders. Proliferation of nuclear and other weapons poses new threats to national and regional security. Today the world faces multiple crises of unprecedented scale and seriousness. These crises share common attributes. They all transcend narrow disciplinary boundaries, thus defying solution by partial, sectoral approaches. They are all global in nature and cannot be fully addressed without coordinated actions by the international community. Approaches to resolving the challenges are subject to conflicting claims, priorities and interests. The lack of significant progress on addressing these issues in recent years has raised doubts about the collective capacity of the human community to effectively address them. There is presently no consensus as to whether real, effective solutions are possible and what those solutions should be. Is there any way in which apparently mutually exclusive goals of prosperity, security, sustainability and social justice can all be realized? In an effort to incorporate multiple perspectives and generate an effective platform for future action, participants examined the first of these questions relating to important trends. Among many valuable insights, discussants identified limitations imposed by the present social construction of knowledge, i.e. the way we perceive and frame the issues, and the tendency to examine complex interconnected issues as if they can be understood in isolation as serious impediment. Stress was placed on the need for new thinking and new integrated, value-based theory in the social sciences. Uncertainty was identified as the source of both new challenges and new opportunities, reflecting a greater capacity for learning and growth, and underlining the need for efforts to unify the Sciences and Humanities. A culture of peace, global governance and shared values are essential for future progress of humanity. Ecology must be viewed as an integral component of economics. It is necessary to integrate thinking on ecology, economics and ethics. The main challenge is transition to the new society in which past experience is no longer valid and technology plays a major role in a world driven by power and power of money. Technological development has outpaced the development of institutions and culture. Technological advance is rapid. Cultural change is slow. The challenge is to make the right technological choices, to govern the development and use of technology, to accommodate to radical advances in technologies, and apply technologies through consensus to avoid misuse. The obstacles posed by the current system of international institutions founded on the principle of national sovereignty, the absence of institutional mechanisms for humanity to exercise legitimate rights, extreme inequalities and the challenge of balancing knowledge, ecology, economy, and ethics were also recognized as serious impediments. Increasing mobility, greater social integration between cultures and ever improving communications will generate new opportunities. There are also signs of an emerging shift toward a human-capital-intensive theory and approach based on education that imparts both knowledge and a sense of responsibility and supports the full development and expression of the creative potentials of each individual. Growing understanding of the science of networks is enhancing our capacity to leverage the power of social capital to promote human development. Solutions are unlikely to come from the nation-states. Real solutions are more likely to come from the NGOs representing global civil society and from individuals with global consciousness of the problems. The Castle Duino meeting will be followed by a workshop in Alexandria in June and further events in 2013 and 2014. This theme combines the focus on new economic theory and human capital with the role of entrepreneurship and innovation, placing them in a wider theoretical context. Human Capital is a central unifying theme of the Academy’s work and also a central strategy for breaking out of the narrow conceptions and stifling economic policies that prevail now. It also focuses on the catalytic role of the individual in social change, exemplified in economy by the role of entrepreneurs. It also encompasses the issue of human rights and economic rights, including the right to employment. How to increase human capital - the role of individual and collective activity, education, health: locally and globally? This theme addresses the broad issue of how to make available to industrial applications the existing large amount of scientific knowledge and technical innovations. Particular emphasis will be given to the development of a sustainable human welfare, including the field of health care, which is one of the world’s fastest growing industries, accounting for more than ten percent of the economy in most developed nations. The general awareness is increasing on this topic, but the management of S&T needs to develop instruments and a consensus to promote data sharing and economic exploitation in developing countries.